Today Dell has unveiled the latest XPS 13 2-in-1 laptop. The iconic PC systems maker claims that since the previous version, the XPS 13 has been "improved in every conceivable way". It certainly is an attractive machine, which delivers an enhanced display in a thinner, lighter, and more powerful form than ever before. 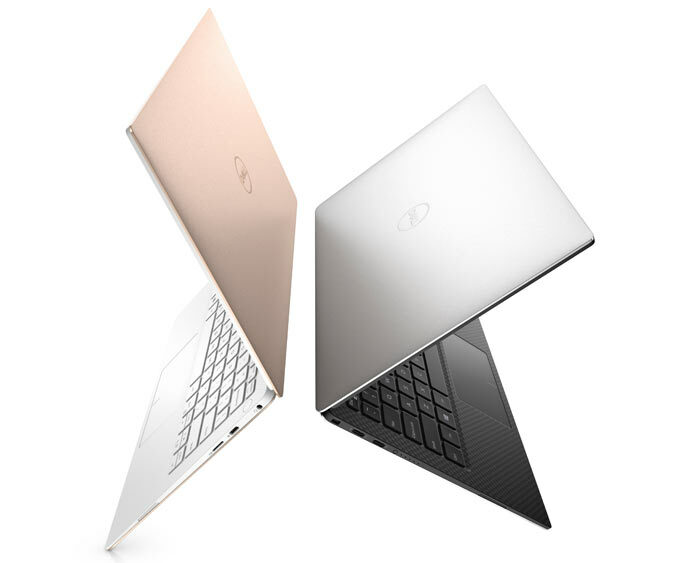 The XPS 13 offers a 2x performance uplift compared to the 2015 model, while becoming both thinner (30 per cent thinner) and lighter, according to Frank Azor, VP and GM of Dell XPS. In fact Dell claims the XPS 13 is now the smallest 13-inch laptop on the planet. Beyond its purely technical improvements Dell has also tuned the looks of this machine with inspiration from the fashion world and use of a new crystalline silica material with the colour woven in, like a fabric, in nine composite layers. The glass weave has a titanium oxide coating for a pearlescent sheen and UV and stain-resistant protection plus superior heat resistance to metal. Elsewhere the chassis is constructed with CNC machined aluminium and the machine is available in platinum silver (black carbon fibre inside) or rose gold (white glass fibre inside). Enhancing the portability and visual immersion the XPS 13 employs Dell's now familiar InfinityEdge technology. This enables a 13.3-inch laptop in an 11-inch chassis. For reference the laptop measures 302 x 199 x 7.8-11.6mm and weighs approx 1.21kg (no-touch version). Screen choice is between a touch enabled 13.3-inch UltraSharp 4K Ultra HD (3840x2160) InfinityEdge touch display, 100 per cent sRGB, or an FHD (1920 x 1080) 72 per cent colour gamut display. Battery: 52WHr, non-user replaceable (claimed to deliver the "longest battery life of any 13-inch laptop" 20hrs FHD, 11hrs UHD using MobileMark 14), 45W AC adapter supplied, can dock with Dell Dock or Dell Thunderbolt Dock. In addition to the above Dell says the new XPS 13 is the first laptop built with GORE Thermal Insulation. It is claimed that GORE, a silica aerogel as used in space vehicles, directs heat out of the device to keep the machine's internals cool. For pricing and availability we see from the supplied press materials that the all new XPS 13 is available immediately in the US starting from $999.99. Here in the UK, Dell told us in an email that the new XPS 13 will also be available straight away via Dell.com and John Lewis priced from £1,269. The Ubuntu based developer edition starts at £1,319 beginning today on Dell.com in the US and Europe. 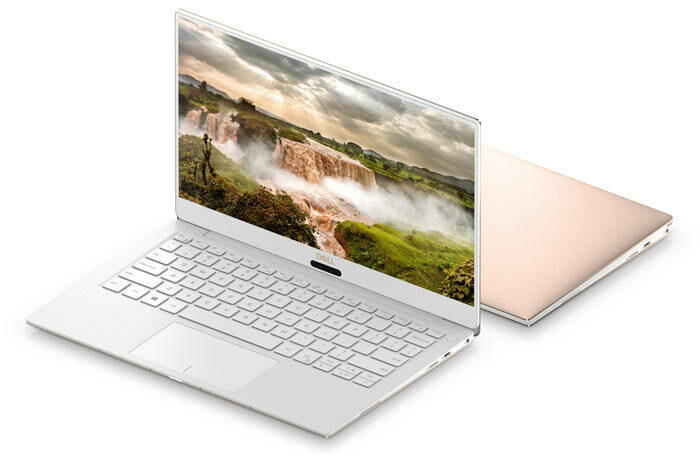 If you want the XPS 13 rose gold version you will have to wait until Feb and it will start at £1,669 (not sure if higher base spec, at the time of writing). I find the claim that it's “improved in every conceivable way” inconceivable, considering the reduced battery size and continued use of DDR3. “XPS 13 2-in-1 laptop”…..Maybe I'm missing something but this isn't a 2in1. Also the price gouging on this is a little high. And why can't they do a nice all black or all silver option….